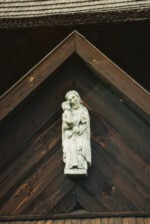 The statue of St. Joseph with the Child on the porch of the wooden church in Ołobok. The sculpture of Paweł Bryliński. 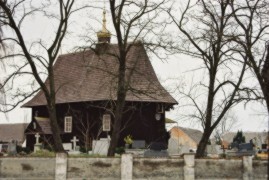 The church of St. John the Baptist at the cemetery in Ołobok.